$5.55 Pizza at Sal’s Pizza on 10/12/13 for Customer Appreciation Day! 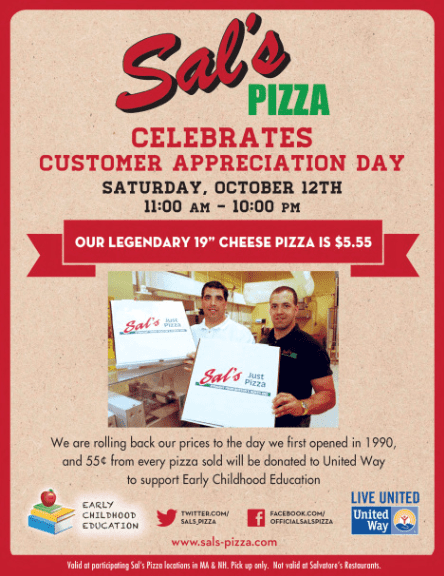 Celebrate Customer Appreciation Day at Sal’s Pizza on Saturday, October 12th from 11am to 10pm where pizza prices are rolling back to $5.55! Also, every .55 from every pizza sold will be donated to the United Way. For more information or to find your nearest pizza shop, please head here.